Heart disease continues to be the number one killer of both men and women in this country—every 33 seconds someone dies from it. It has achieved this number one status by a longshot too—currently more people die of heart disease than of AIDS and all cancers combined. That’s right. In addition to the obvious quitting smoking, avoiding trans-fats and refined carbs, getting regular exercise and drinking alcohol in moderation, one of the most effective ways to prevent heart disease is to eat heart-friendly foods and supplement with heart-supportive nutrients! 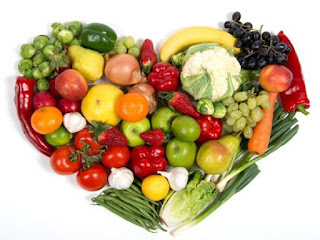 Most vegetables and many fruits are low in carbohydrates, full of fiber, antioxidants, vitamins and minerals—all of which are a tremendous boost to your heart and blood vessels. Yogurt contains probiotic cultures that reduce bile acids, which helps keep worn-out cholesterol from being reabsorbed into circulation from the intestinal tract. The trick here is to avoid the varieties with added sugar or sweetened fruit. Salmon is rich in Omega-3 essential fatty acids that help reduce inflammation in the blood vessels, thin the blood, lower triglyceride levels, lower blood pressure inhibit the growth of plaque and protect against irregular heartbeat—quite the resume! Spinach, kale and other dark leafy greens are great sources of the antioxidant vitamins A and C. Spinach is an excellent source of folate, which converts homocysteine to a benign amino acid. (High levels of homocysteine in the bloodstream can cause inflammation in the blood vessels and increase your heart disease risk.) In addition, spinach is rich in magnesium, which helps lower blood pressure and protects against heart disease. Almonds are loaded with vitamin E and Omega-3 EFAs, both of which have been shown to prevent heart disease, stroke and hypertension. Plus the fat in almonds helps to lower LDL cholesterol levels. Garlic can slow the development of atherosclerosis. Heart-healthy supplements can help too! As far as smart supplementation for your heart goes, nothing beats the powerful combination of VitalMega-3 fish oil formula and Dr. Salerno’s Cardio Factor. VitalMega-3 gives you a whopping, heart-loving 1,200 mg. of Oemga-3 EFAs in every daily 2-capsule serving, including 600 mg of EPA and 400 mg DHA. Zinc: Zinc has been shown to help lower the levels of C-reactive protein in the body. C-reactive protein is a compound that, when elevated, indicates either inflammatory or free radical damage is occurring within the blood vessels in a way that contributes to cardiovascular disease. Magnesium: Magnesium is a natural muscle relaxant that can reduce the impact of stressors on your cardiovascular system. It partners with calcium (which is a muscle contractor) to regulate your heart rate, among other things. Vitamins B6, B12 and folate (aka folic acid): This trio of B Vitamins is like the Three Musketeers when it comes to protecting you against the dangerous effects of homocysteine buildup in your blood. Trimethylglycine: A vitamin-like substance that helps with homocysteine conversion. Choline and riboflavin (vitamin B2): Other members of the B-complex group of nutrients that help with homocysteine conversion. Serine: An amino acid that helps build and maintain all the muscles in the body, including the heart. N-acetyl-cysteine (NAC): An amino acid that helps to boost your body’s level of glutathione, which is an important antioxidant and anti-inflammatory. Put the power of nutrition to work for you to greatly reduce your risks and keep this killer far away from YOU!